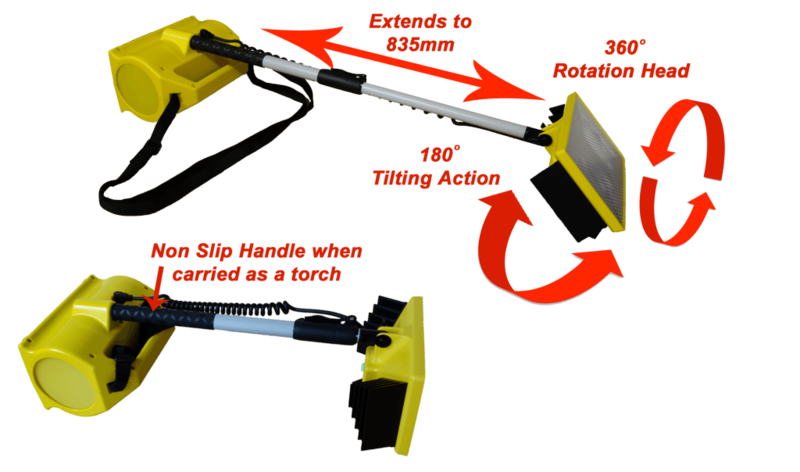 The Samalite Eco-Flood high powered LED Portable Lighting Units are a uniquely versatile maintenance-free lighting system. Providing one of the most Powerful, Compact, Ultra-lightweight Floodlights and hands-free portable lighting systems available today, using the latest environmentally friendly state of the art LED and Lithium-Ion Battery technologies. 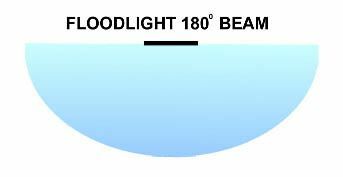 Due to the high power LED technology and low energy consumption the LED portable rechargeable Floodlights available from Samalite are able to illuminate large areas with long run times. Industries and departments that have put Samalite rechargeable area lighting units to use are the MOD, Utilities, Police, Air Ambulance, Rapid Response Units, Search and Rescue, Railways, Security and Maintenance Services, Forensic crime scene investigations, Sports and Equine. Suitable for: Equine / Sports Training Grounds and more! If you are looking for LED portable rechargeable lighting solutions then Samalite’s range of rechargeable lighting are the perfect solution. 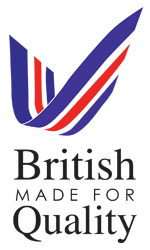 All are manufactured in the UK from high impact polyurethane with the lenses made of polycarbonate making these systems highly durable and resistant to frost, heat, water and fuel. Rated IP65 and fully weather proof. Samalite portable lighting units are all lightweight using the Superior highest quality maintenance free lithium-Ion rechargeable batteries ensuring the Samalite’s can easily be transported from site to site and can be charged both from the mains electricity or optional 12-24v vehicles making these lighting systems even more convenient. The high performance Cree LED’S have on average 50,000 hours of life, whilst operating temperatures remain low and giving a high quality light output. 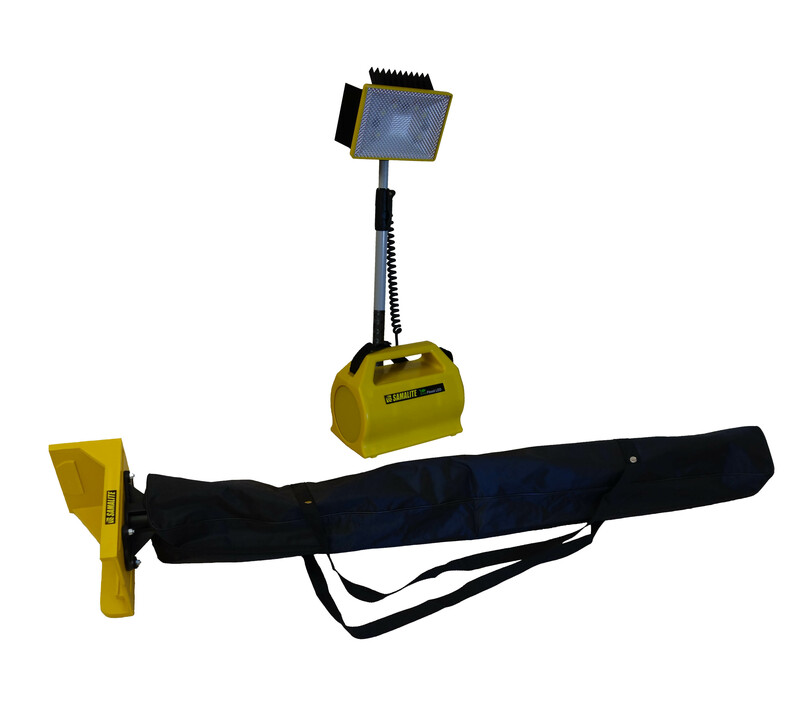 The spot and flood beams can be adjusted through three different light levels, also the floodlight and the spot light can be used simultaneously. Situations where Samalite’s range of portable lighting has come into play are sea and river search and rescue, road side accidents, crime scenes, overhead line inspection, tunnel and track inspections, security and maintenance services and crowd control using strobe. 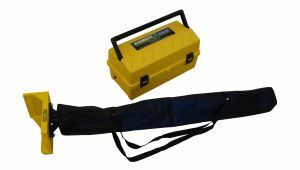 With no hazardous cables or noisy generators all of our LED portable rechargeable lighting systems are compact and battery operated with no harmful emissions.